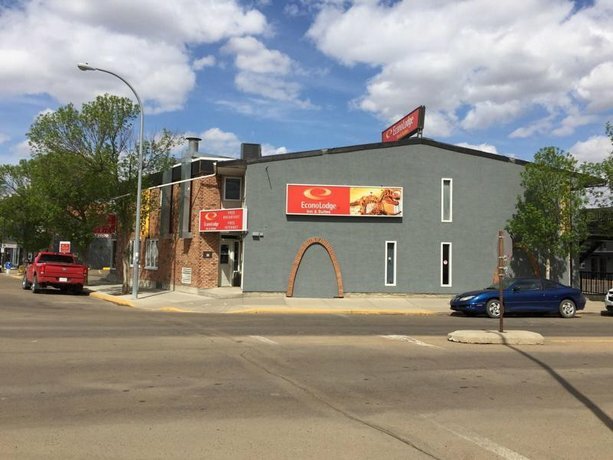 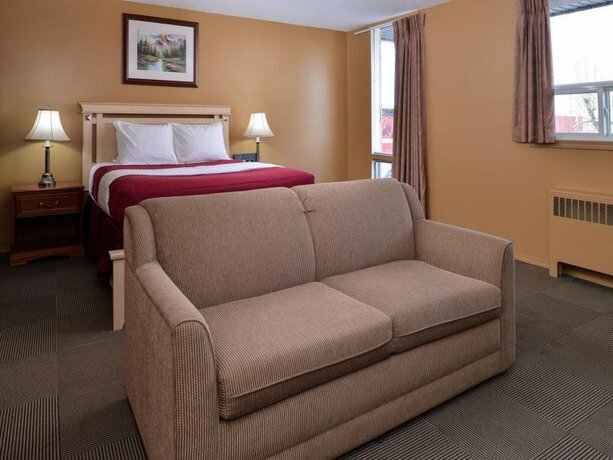 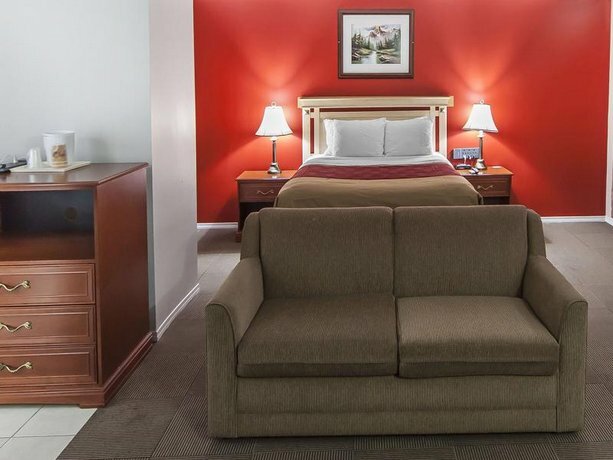 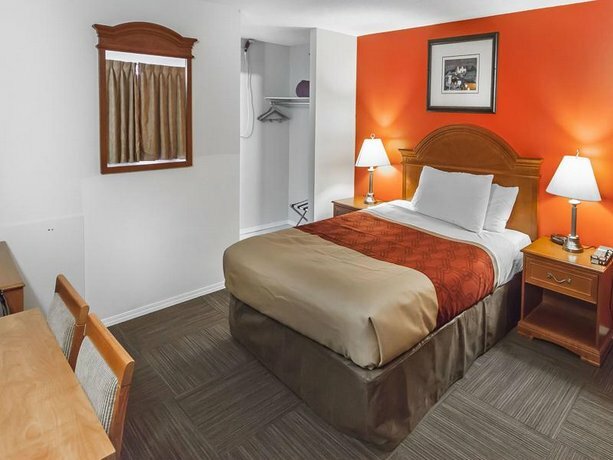 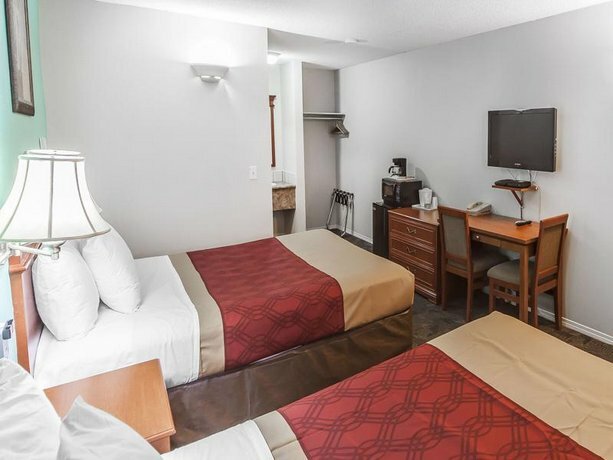 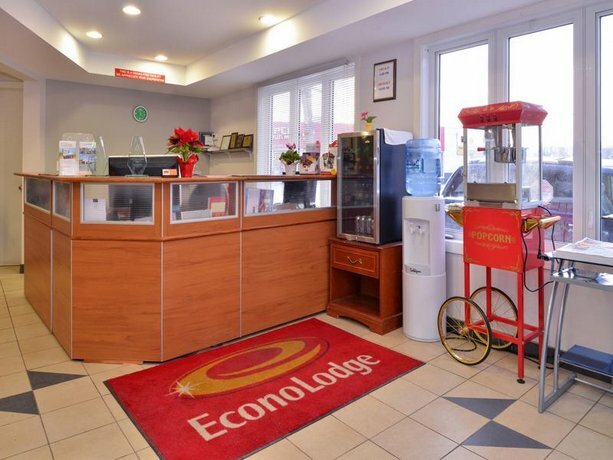 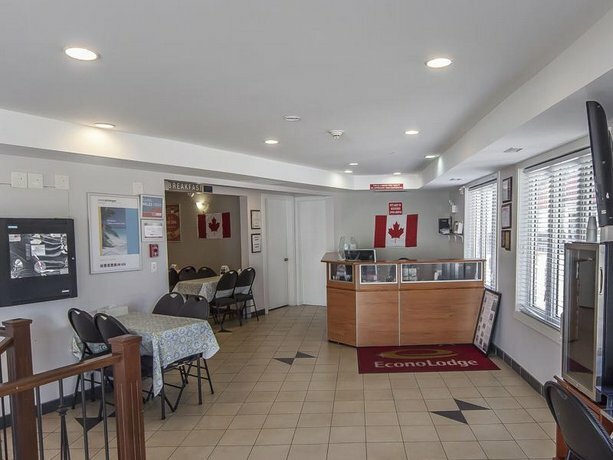 Located in Drumheller's city centre and just east of Highway 56, the Econo Lodge Inn and Suites Drumheller is suited to family travellers who require an economical hotel with easy highway access and extended amenities such as microwaves, refrigerators and a free continental breakfast. 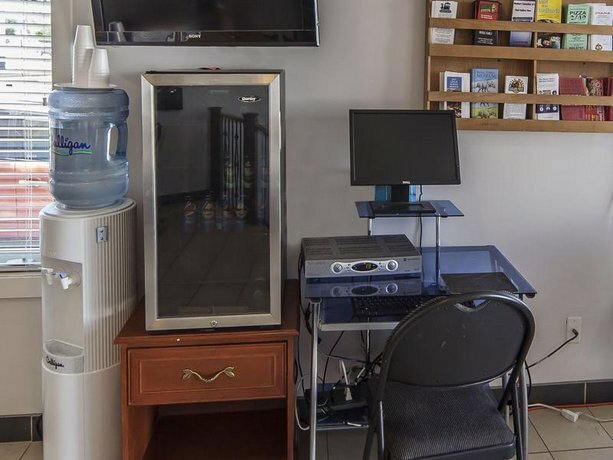 This non-smoking hotel has 54 air-conditioned guest rooms and suites, each offering one or two queen beds, satellite TV, free Wi-Fi, a coffeemaker, a mini-fridge, a microwave, and a desk. 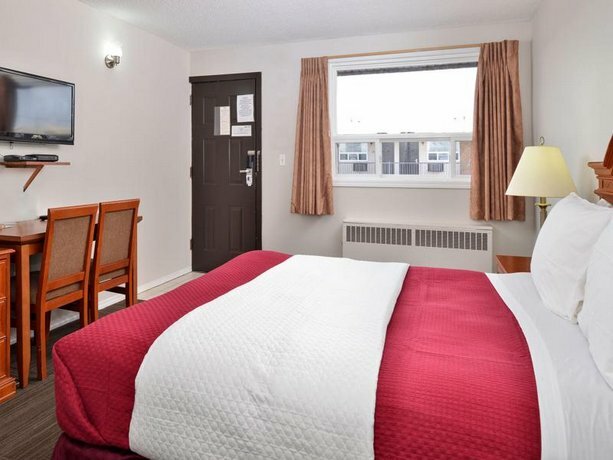 Hair dryers, irons and ironing boards and sofabeds are also available upon request. 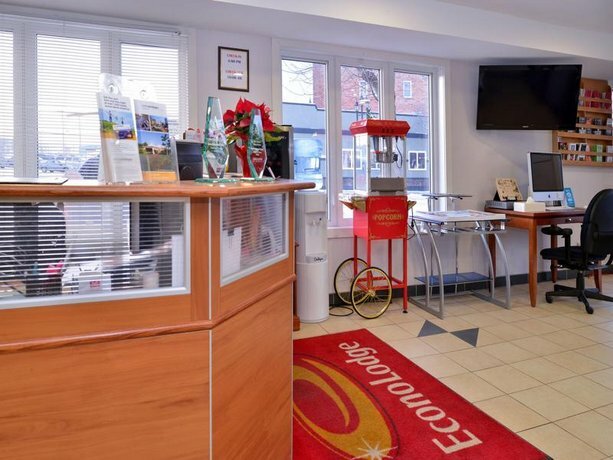 The hotel provides a business centre and parking is free. 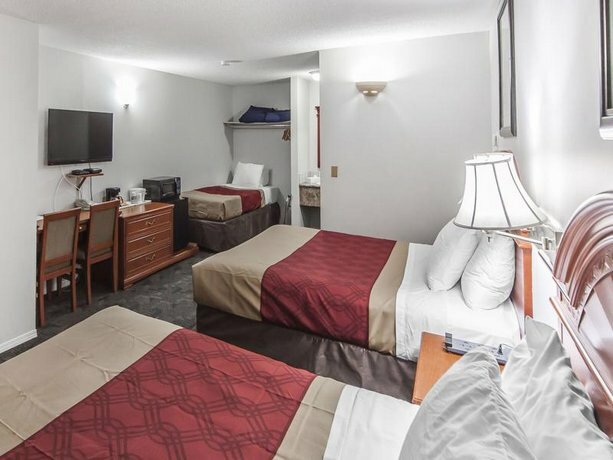 Pets are permitted for $25 per pet, per night. 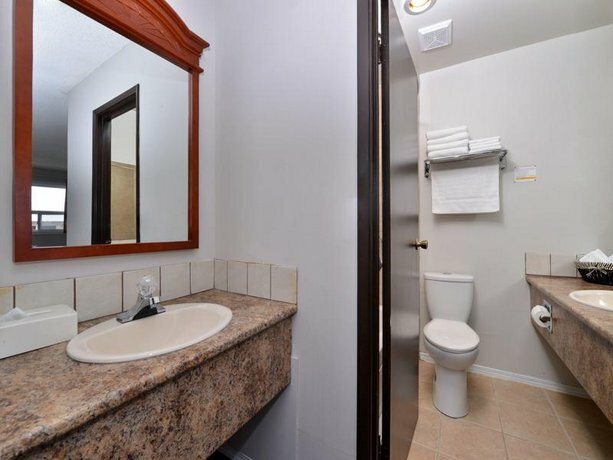 This hotel is wheelchair accessible. 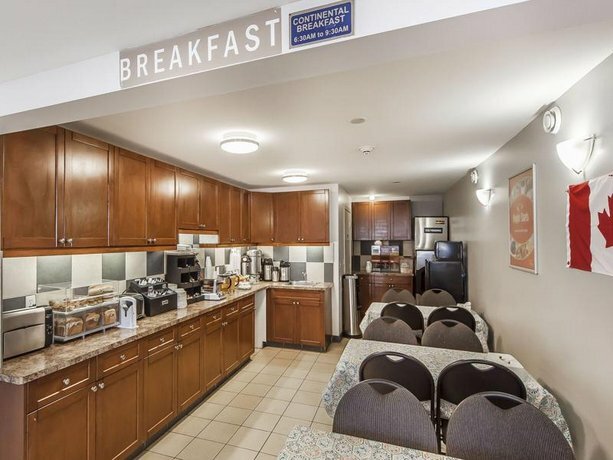 A free continental breakfast is served to all guests daily, while other nearby restaurants include Diana Restaurant (next door) and Sizzling Family Restaurant, which can be found 11 minutes southeast by foot. 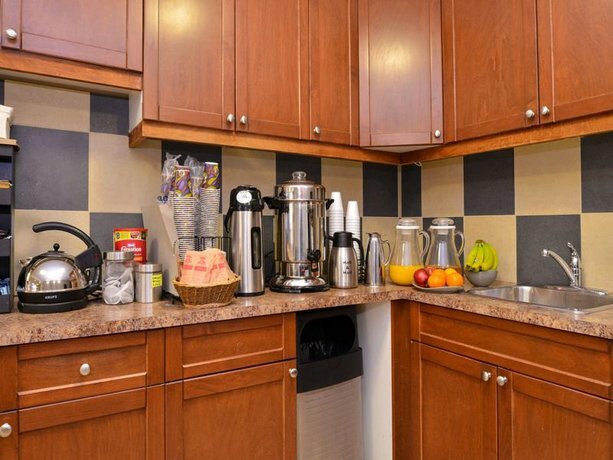 Verified with a front desk agent on December 6, 2012: Free Wi-Fi, free parking, pets permitted for $25 per pet per night. 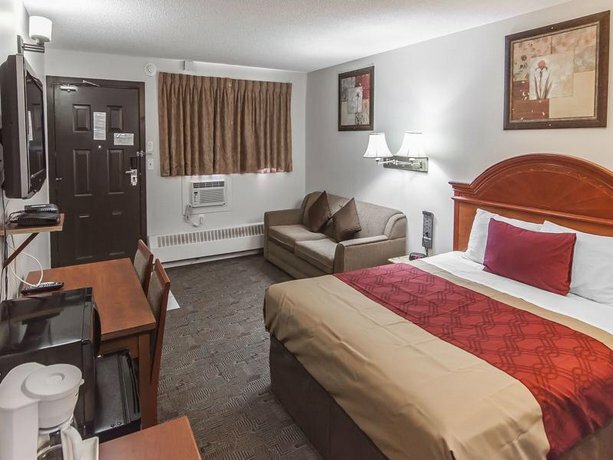 Guest reviews used for this analysis showed a positive response to the hotel's staff, location, and value. 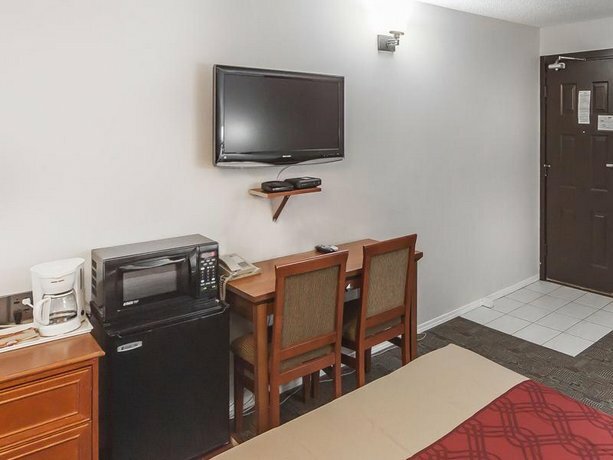 Many reviewers were pleased with the level of customer service they received at this hotel. 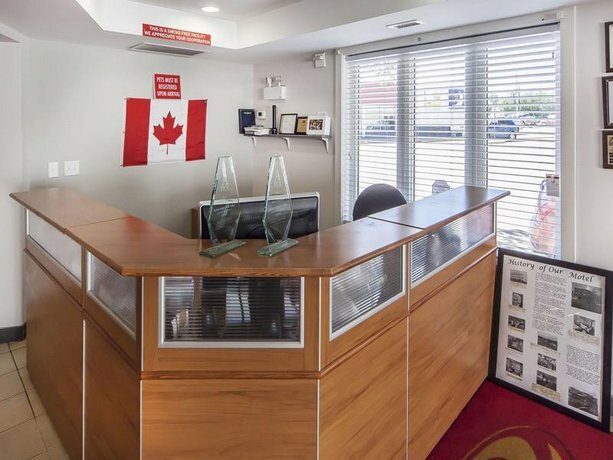 They characterized the staff as welcoming, delightful and cooperative, with "fantastic customer service". 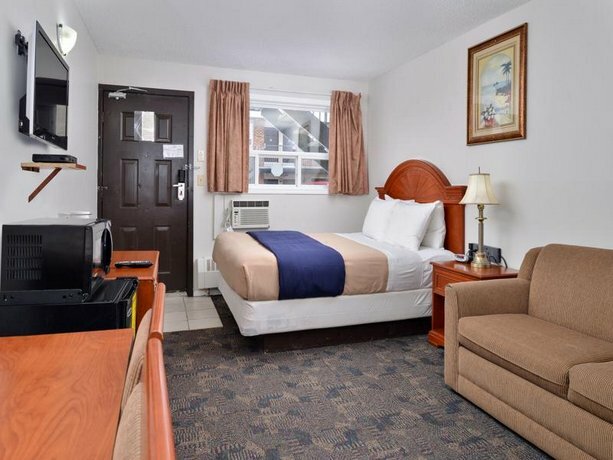 One guest remarked, "The manager went out of his way to make our stay pleasant". 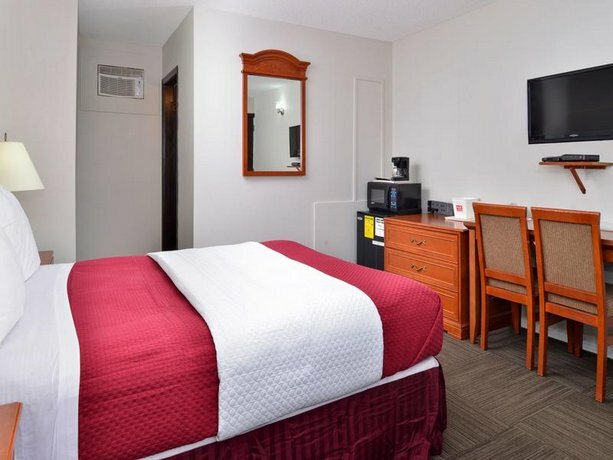 The hotel's location was praised by several guests. 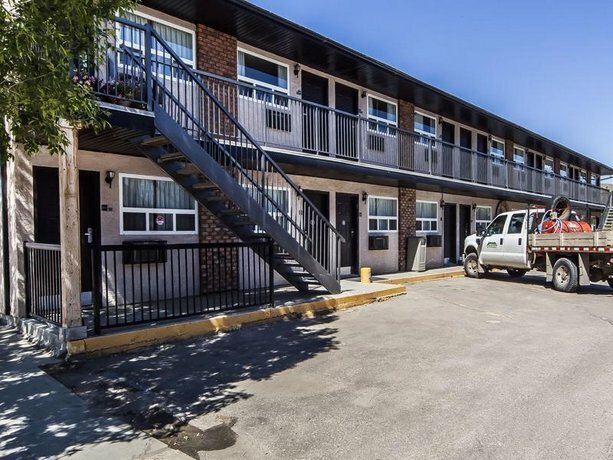 They described it as being convenient, within walking distance of tourist sites, and close to Royal Tyrrell Museum and Drumheller Aquaplex. 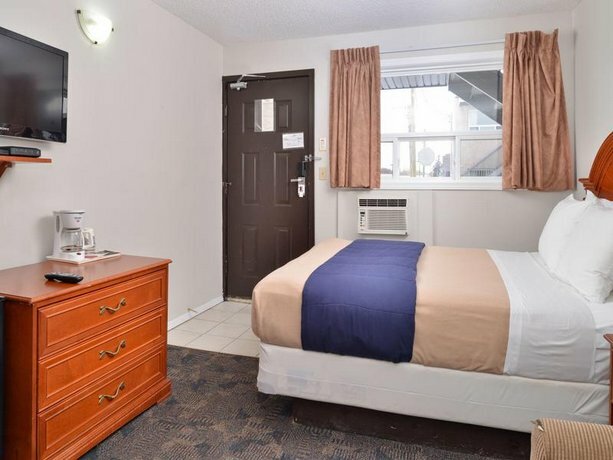 Many lodgers felt this hotel was a good value. 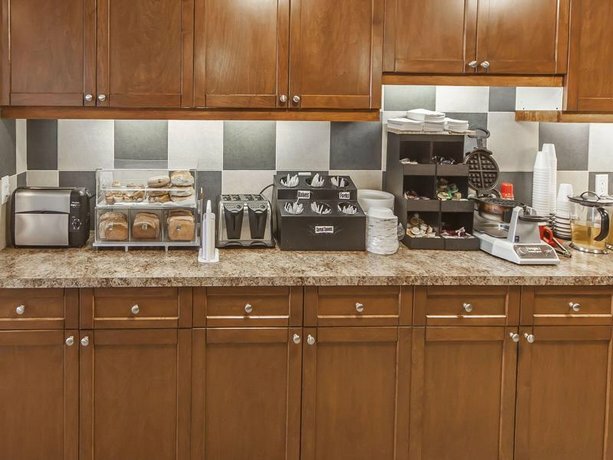 They felt the free coffee, tea, and hot chocolate added value to their stay. 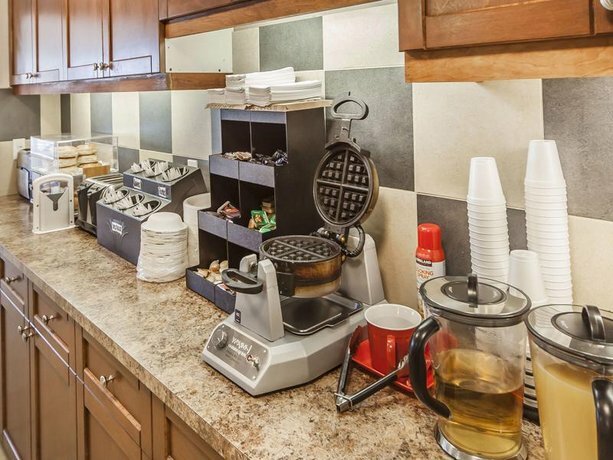 One guest mentioned, "Breakfast in the morning included far more that we expected", while another remarked, "Overall, a decent place to stay for a low budget". 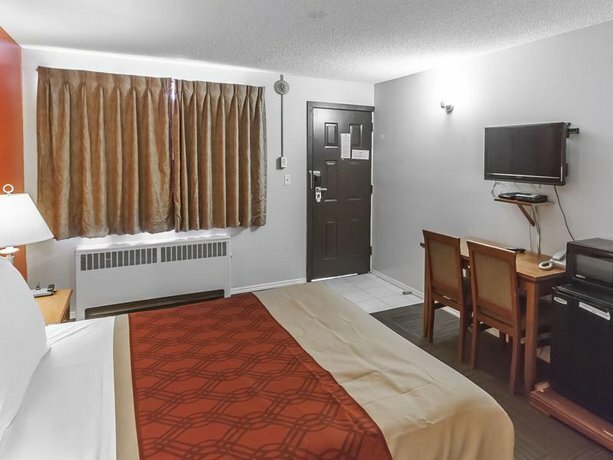 Negative reviews found for this analysis mentioned the hotel's rooms and noise transfer. 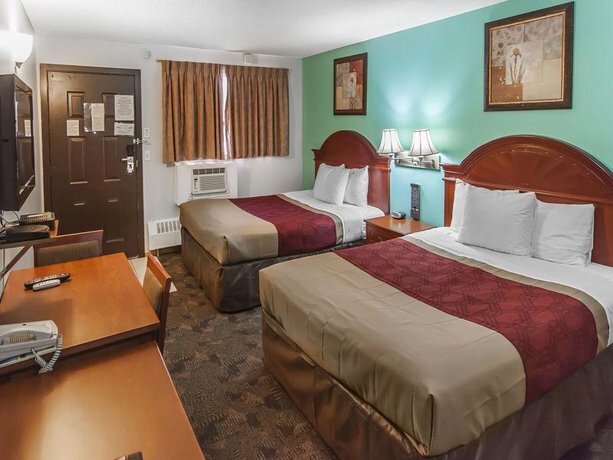 Although many reviewers were pleased with their rooms and described them as clean, spacious, and with comfortable beds, some guests were displeased with their accommodations. 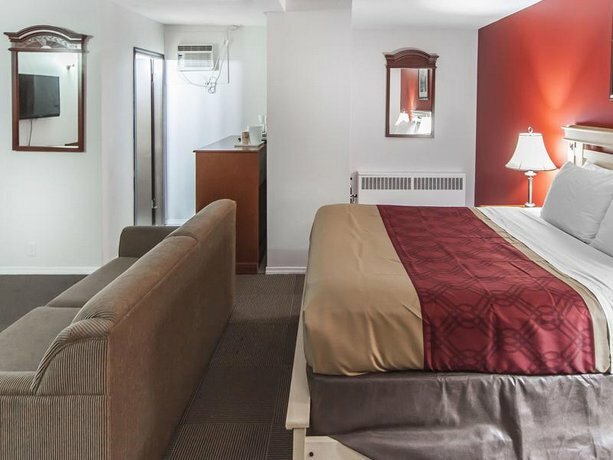 These guests described their rooms as small, with small beds, loud air conditioning units, stained carpets, and old linens and towels. 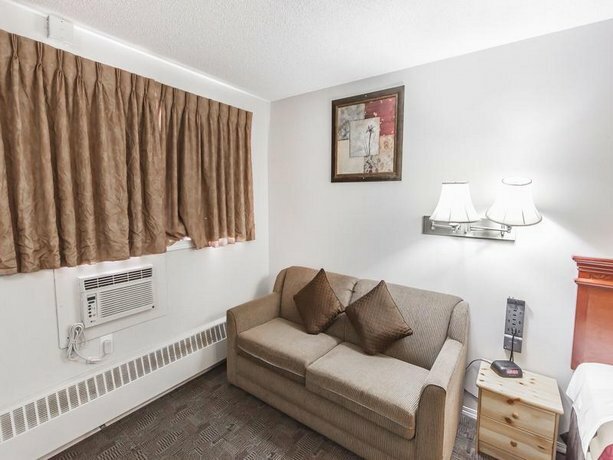 Noise transfer was a source of complaint by a few lodgers. 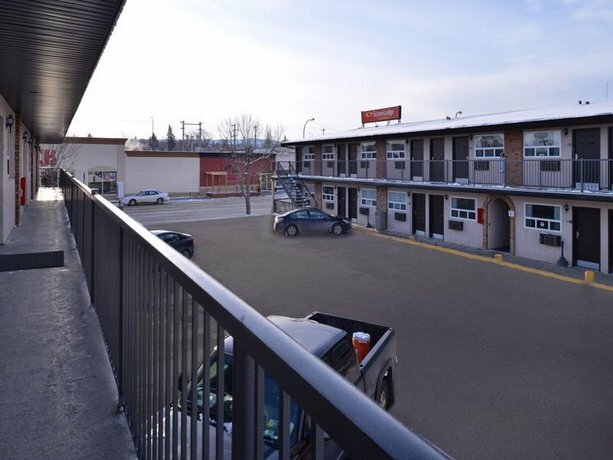 Early morning engine noise from truck driving guests was heard, as well as people talking on their cellphones from the parking lot. 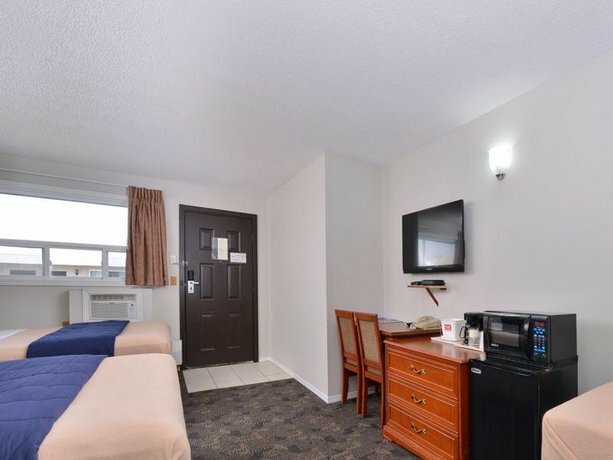 Another reviewer expressed disappointment at hearing noise from the smoking area outside their room. 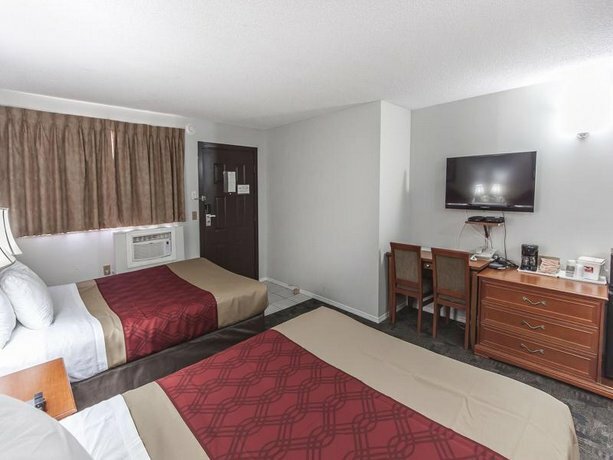 Booking.com guest reviews rated the hotel 6.5 out of 10 from 78 reviews. 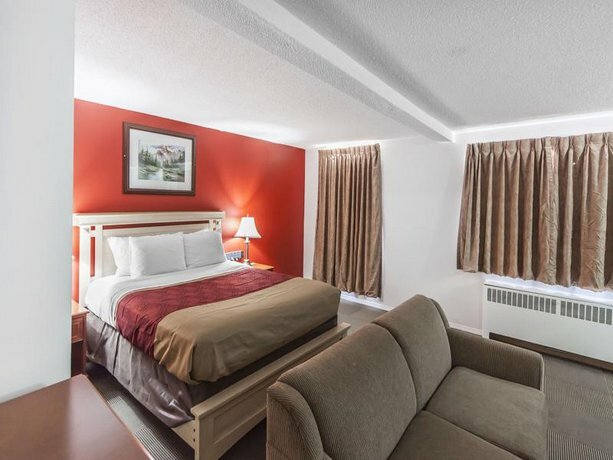 TripAdvisor.com guest reviews ranked the hotel #7 out of 9 Drumheller hotels from 74 reviews. 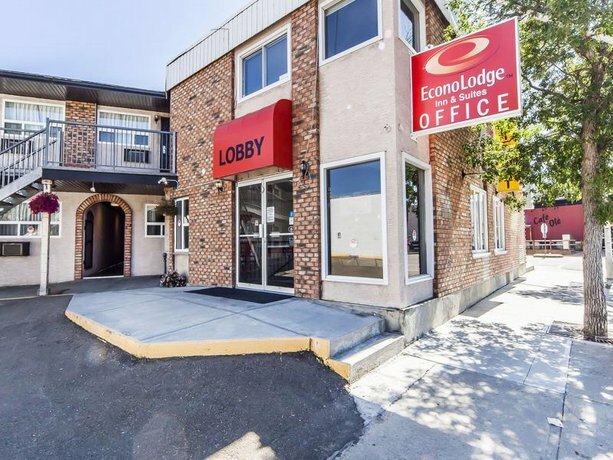 The average guest rating for Econo Lodge Inn & Suites Drumheller is 7.1 out of 10 based on 896 reviews from past guests. 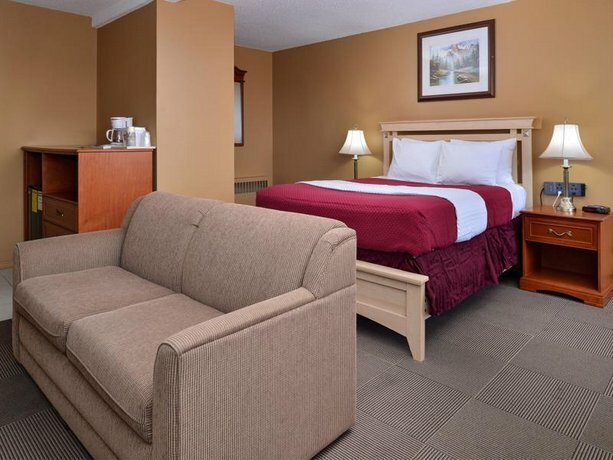 This average guest rating ranks Econo Lodge Inn & Suites Drumheller at #5 out of 6 hotels in Drumheller.